Welcome from The Mills Team! Thanks for visiting our website. As you browse the site, you'll find listings for properties available in the La Jolla, Pacific Beach and San Diego areas, real estate tips, and financing information. You'll get the chance to be notified by email about properties that meet your personal specifications. 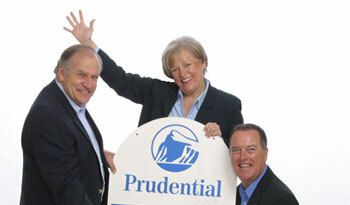 You'll learn about our team of real estate professionals. And, you'll find some of the reasons we believe the quality of life in this beautiful part of the country is unsurpassed. The large amount of information we've assembled for you on our site is just a small part of the total service we provide to our customers. We pride ourselves on our special style of customer service, and believe our team approach is second to none. We know that buying and selling a home is one of the biggest events in your life. When you're ready, then we're ready to put our people skills, our industry knowledge, and our prize-winning track record to work for you. We invite you to call or email us so that you can experience The Mills Team brand of customer service firsthand. Your privacy will be respected, you'll have a no-hassle, no-obligation response from us in a very short time, and you'll see why our team is award-winning.